The study program in Electrical Engineering and Robotics provides students with the knowledge of industrial automation equipment and their system design, maintenance and operation, programming of industrial control and drive systems, knowledge of electronics and electrical energetics. As the new technologies and automation of industry arises, the specialists of industry automation and robotics are of a big importance for the production and engineering companies. Therefore, they need highly qualified specialists knowledgeable about the contemporary electrical, electronics, automation, power supply network or robotic system engineering and automation technologies and their design, the equipment and the principles of its control. These specialist will be able to make decision on engineering issues on the novelty level and are able to independently conduct research topical for the process of production, to summarize the findings, and to implement them. 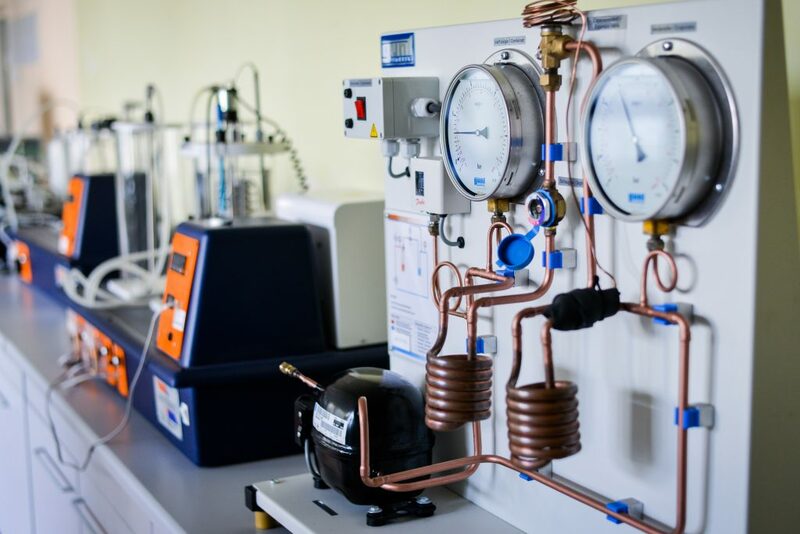 The main courses in the curriculum include Materials Science and Engineering, Computer-aided Design, Information Technologies, Principals of Electrical Engineering, Electromagnetic Field Theory, Electronics, Microcontrollers and Microprocessors, PLC and Industrial Communication, Electrical Machines and Drives, Sensors, Mechatronics, Automatic Control Systems, Robotics, Electrical Energetics, Management of Business and Engineering Projects, Practice, etc. Graduates of the Electrical Engineering and Robotics study program can be employed as electrical, electronics, automation or robotics engineers in various industrial enterprises (food, chemicals, furniture, textiles, etc. ); as electrical engineers in electrical systems, electrical network or automation system design enterprises; or as project managers, executive directors, or heads of departments or companies in commercial corporations. They can continue in the 2nd cycle (graduate) studies.